We have been giving away some of our favourite tips just to give you a special and total overview of everything that you will be able to do, see and try while visiting Palma. 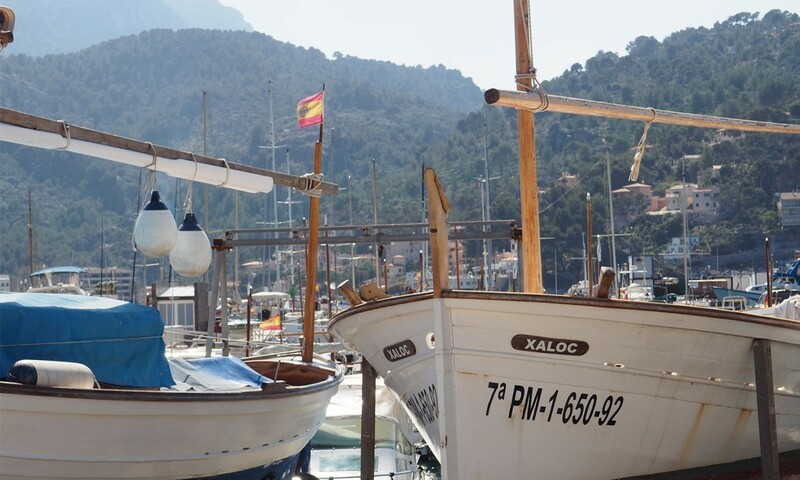 And a couple days ago we unveiled one of our favourite things to do: visiting Sóller and its port. 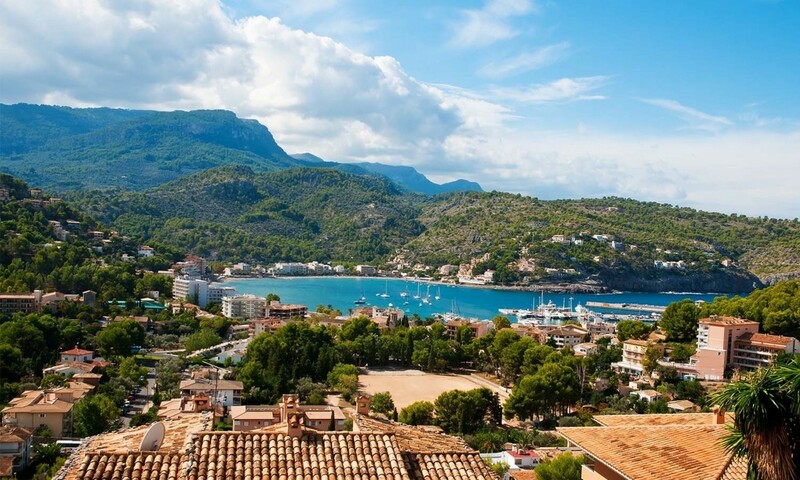 On our post ‘Plan for a day: visit Deià, Valldemossa, Sóller and Port de Sóller’ we sent you by car to do one of the most beautiful and romantic routes there are on this stunning island. Today it will take a little twist, as we are going to go for it by train! Mallorca has hundreds of beautiful corners, towns, villages and beaches to discover, but it actually always takes a car to get to the most hidden gems on the island. 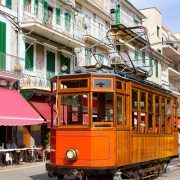 But visiting Sóller and Port de Sóller is actually one of the very few destinations you can reach by train directly from Palma’s centre. How does it work? 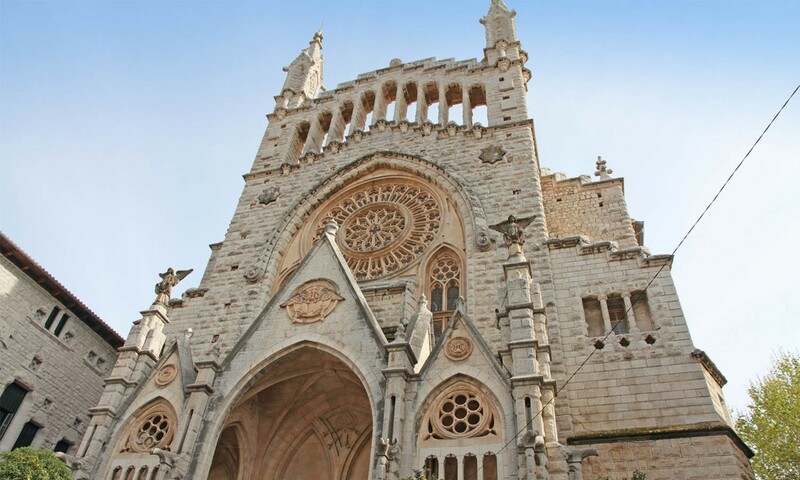 Well, you just have to walk to the Sóller train station (which is right beside the Intermodal station located in front of Plaza España) and get your tickets to Sóller. But you will not be having a regular and normal train trip, oh no! 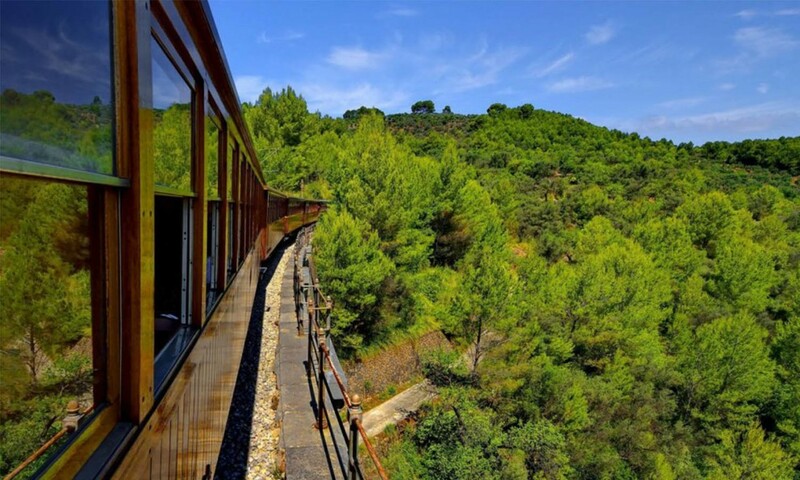 The route is one of the most stunning train routes you will ever see, as the train travels right into the mountainous Tramuntana region, through 13 tunnels, over several bridges and the 5 point Sóller viaduct. And there is one little and very important information you need to have about the train: it’s a vintage train! This train has been doing the same route since 1912 and even though the train and railways have been restored several times, you will still be riding on the same train everyone did one century ago. 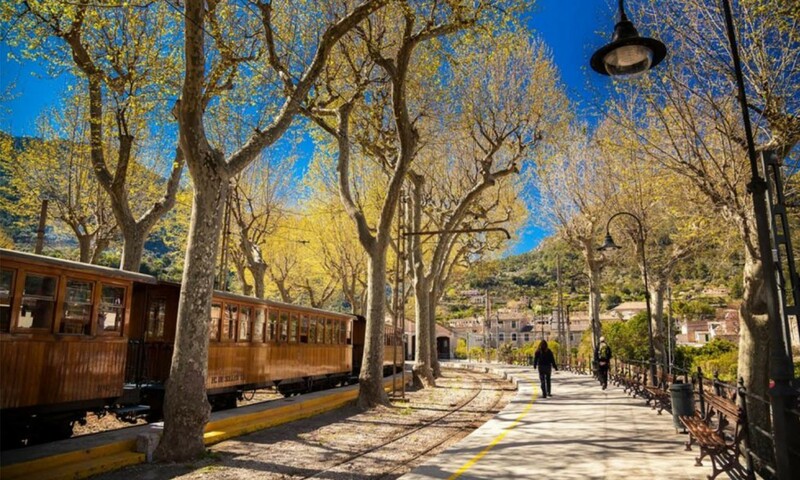 And once you get to Sóller, it will be time to stroll around this beautiful town, have some ice cream at the main square, visit the church and then continue the adventure by hopping on Sóller’s electric tram that runs between Sóller and Port de Sóller. 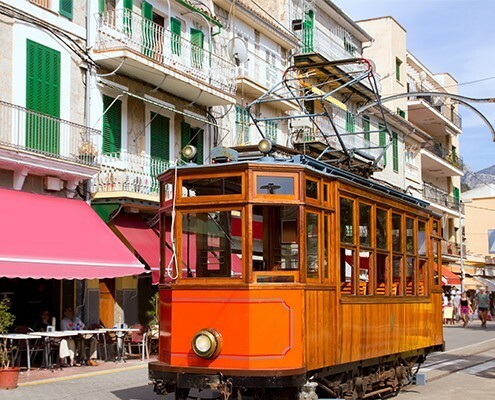 Right after the train was inaugurated in 1912, the tram started working on October the 4th in 1913. Live the full experience and enjoy the ride towards Port de Sóller, where a beautiful sunset by the sea awaits!